Last week, shortly after the announcement by Kati Piri, the Turkey Rapporteur of the EP about her latest updates on the breaches of human rights in Turkey, there was a wave of arrests of academic and intellectuals, allegedly linked to Gezi Park protests five years ago, possibly to be charged with overthrowing the government. All except one were released but each banned to travel abroad, with the obligation to register their presence every day to local police authorities. Meanwhile in pro-gov ... See More TR press, a widespread demonization campaign against Osman Kavala (a prominent civil society figure, jailed over a year - since October 18, 2017, is underway, yet with no indictment in sight. And two days after President Erdoğan's attack against George Soros, whom he branded as ''that Hungarian Jew'', the Open Society Foundation in Turkey declared that it ceases all activity in the country. Also, the harsh ruling of the European Court of Human Rights on the case of Selahattin Demirtaş (the former co-chairman of the HDP party, jailed for two years) led to a deep confrontation between President Erdoğan and the ECHR, the former defying the call to release immediately Demirtaş. In the wake of this escalated tension, Federica Mogherini, the foreign policy director of the EU and J Hahn, the enlargement commissioner, visited Ankara, and it became clear that both sides were definitely on different pages, regarding the course Turkey in the past years had taken. Where do the sides stand? Is the divorce between Turkey and the EU, and Turkey and the Council of Europe inevitable? Or, as cynics argue, will this double standoff lead to a sustainable tension? 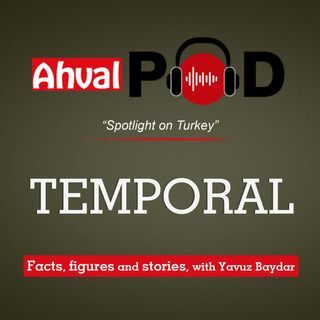 Yavuz Baydar, Editor of Ahval, discusses the current issue with Dr. Cengiz Aktar, an expert analyst and a columnist with Ahval News Online.